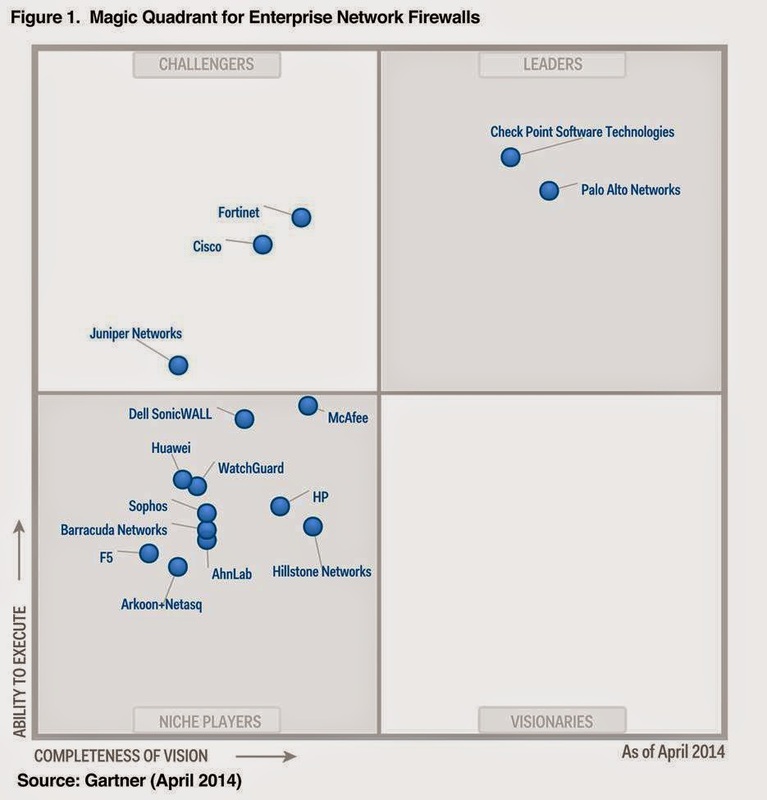 businesses (SMBs), but not for the remainder of the enterprise market. 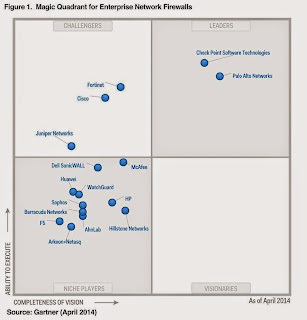 Cisco comes back to Leaders quadrant again. 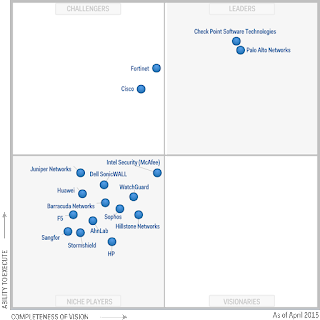 Palo Alto, Fortinet and Check Point are still doing well as Leaders. “Juniper is assessed as a Niche Player for enterprises, mostly because we see it selected in concert with other Juniper offerings, rather than displacing competitors based on its vision or features, and we see it being replaced in enterprise environments more often than we see it selected. 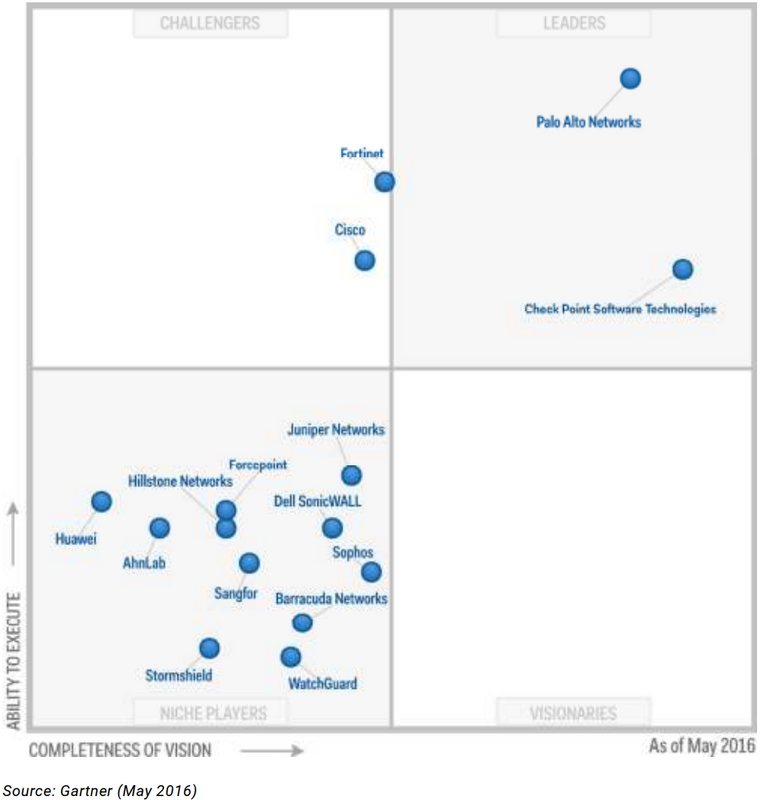 Juniper is, however, shortlisted and/or selected in mobile service provider deployments and large-enterprise data center deployments, primarily because of price and high throughput on its largest appliances.” – From Gartner report. 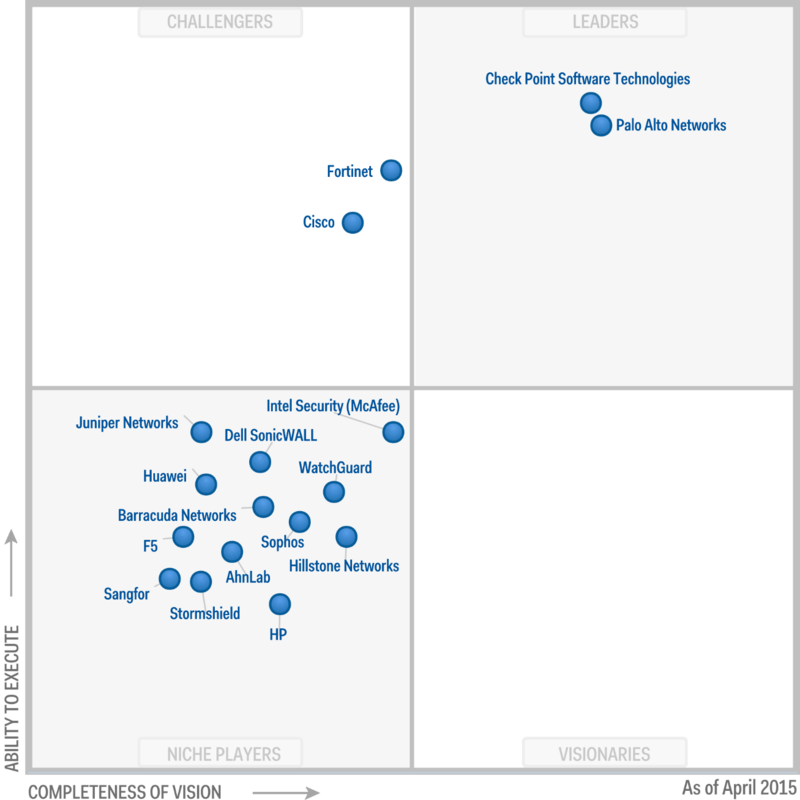 Fortinet is doing pretty good and geting closer to Leaders Quadrant. In the leader Quadrant, the position between Palo Alto and Check Point is getting closer and closer for last four years. 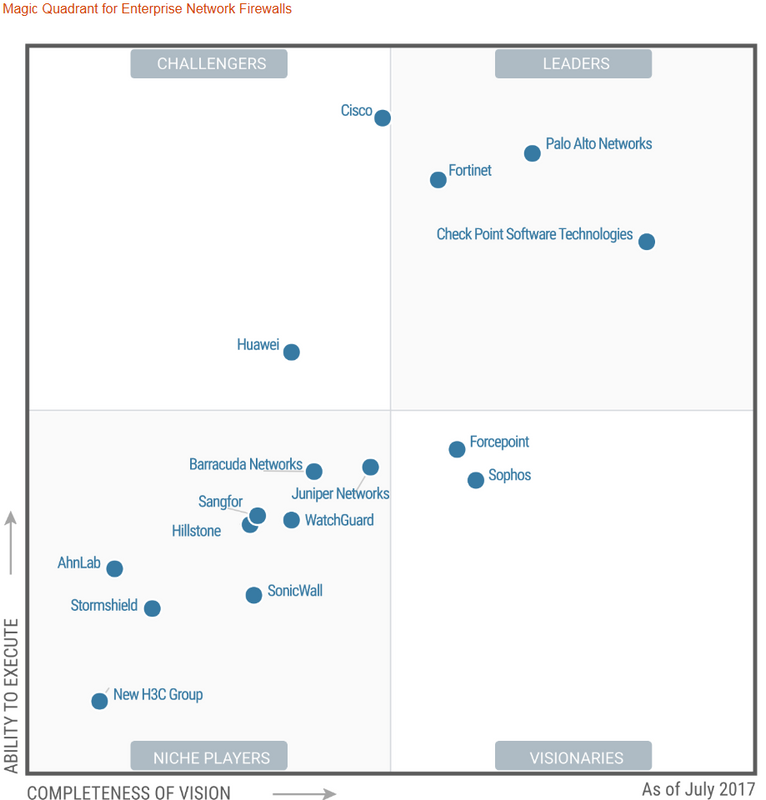 CheckPoint has been in Leaders Magic Quadrant Since 1997, and Palo Alto becomes leaders since 2011. 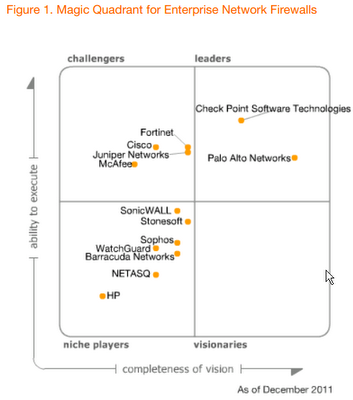 Palo Alto and Checkpoint position into leader quadrant again. 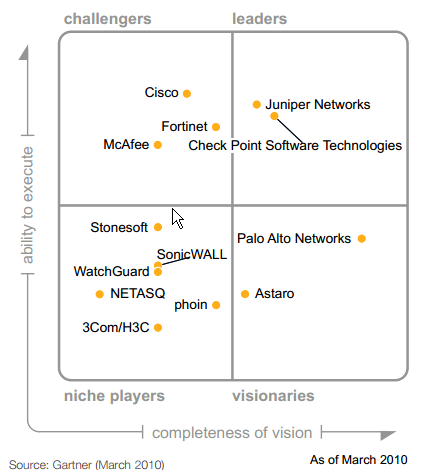 This is the third year for Palo Alto and seventeenth year for Checkpoint to list in the leader quadrant.